Two-Step verifications are available for almost every trusted Android applications and websites at the moment. You will able to secure your accounts with phone verifications with this security option. You can also use this option on your WhatsApp messenger too. If you would like to make your account secure, we recommend you to use this option on WhatsApp too. However WhatsApp doesn’t use phone verification for two-step for this feature. You will assign a PIN to your account and when you try enter your WhatsApp account, you will need to enter this PIN. 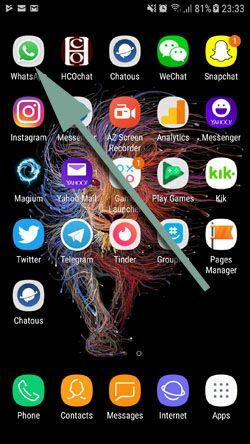 This is a good feature for your privacy if there are people who are using your phone at home, business, school, etc. 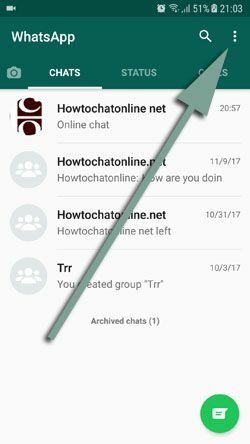 You can ask us if you have any question about two step verification feature of WhatsApp messenger. If you are using iOS device, please click here. 1-) Run WhatsApp messenger on your device. 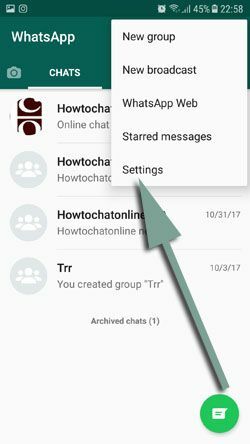 2-) Tap three dot menu of WhatsApp messenger. 3-) Tap on “Settings” from the menu. 4-) Tap on “Account” on the settings page. 5-) Tap on “Two-step verification” at the account page. 6-) Now you will see a page that asks if you want to “Enable” two-step verification at your Android phone or tablet. Tap “Enable” button to get started. 7-) Tap six digit PIN for your account and confirm your PIN again. 8-) We recommend you to add an e-mail address for recover your PIN. Otherwise you can be in trouble if you forget your PIN. If you don’t want to add any email address, you can skip this step. 9-) After you confirmed your email address, you will see the page which is written “Two-step verification is enabled”. Tap Done button to complete the stage at all. That’s all, now people won’t able to enter your WhatsApp account without your permission if they even have your phone. If you think that you have entered a wrong email address, you can change your email address with this tutorial. Your account will be secure and if your lose your phone or your phone has stolen by someone else, he/she won’t able to enter your account. If there are people who are using your phone at home/work/school, this will help you to protect your privacy. You will need to enter PIN code every single time whenever you enter WhatsApp Messenger.